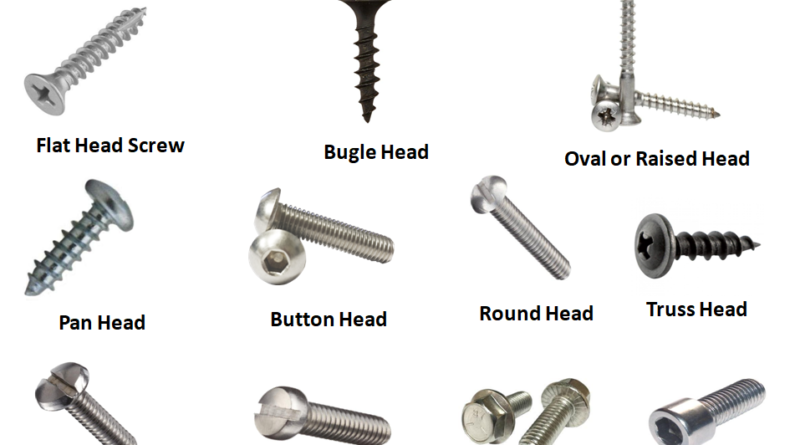 You must have done many projects in which requirement of screws were necessary, but you may not have ever wondered that why there are so many different types of head over the screw. Everything in this world is designed for a specific reason and so as the head style. 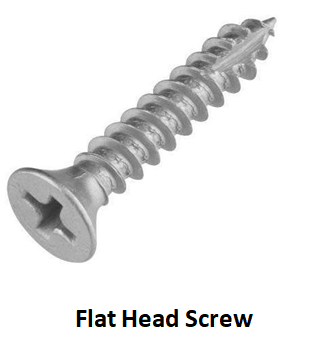 Screws are the type of fasteners which are used to hold things together. It consists of a head and threaded part which may or may not flush out with the surface while fastening according to the design. 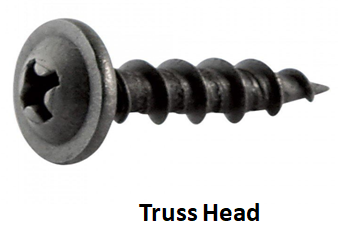 There are so many head types such as flat head, round head, raised head, truss head, Bugle head, pan head etc. and each of them were introduced for some purpose. So let’s start the tale of screw heads. 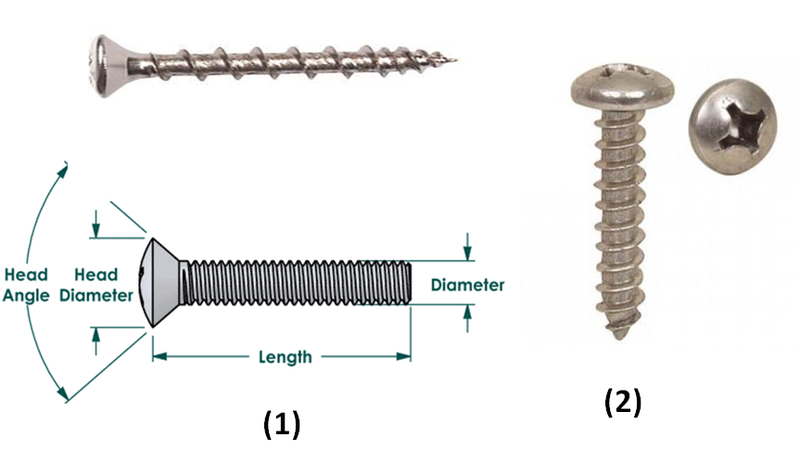 For an instance just look at the head of the screw, and you will find that in the first one there is an angular shape underneath (Below) the head and in the second one there is a flat shape. So for an angular shape one need a proper angle to house the screw, so this is done by pre drilling of hole with the help of a countersink bit and then drilling of screw proceeds to give a correct head angle and a professional look to the project. While for the head shape without an angle, that sits outside the surface of the material, it’s not required to create a pre drill hole. Flat screw head sits entirely with the same plane of the mating surface. 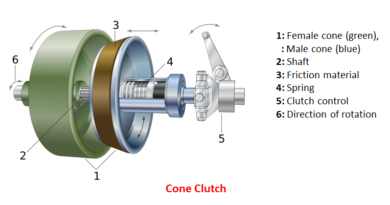 It has a countersunk head with a flat top surface and cone shape under the bearing surface having 82 degree standard. The degree of a flat head denotes to the angle from the topmost of the head to the surface where threaded part join the head. One can use it where protrusion (bump) is unacceptable above mating surface, for example if you are building your bookshelf, you don’t have to worry about your screw coming out from the surface and grasping other stuffs on it. Also, used in steel application, door hinges etc. It doesn’t necessarily effects on the performance. 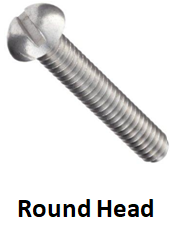 These have a countersunk head with a flat top surface, much like a flat screw, and have concave curved shape under the bearing head which usually reduces the damage to surface. These heads distribute bearing stress over a wider area as compare to flat heads. 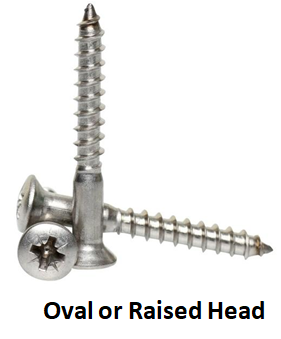 These heads mostly found on the screw which are made for drywalls. 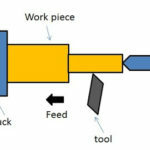 What is Soldering and How it Works? 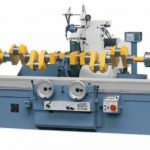 These non-countersunk heads have flat or slightly round head with chamfered edges, and a flat load bearing surface on the underside with moderate head height and diameter. 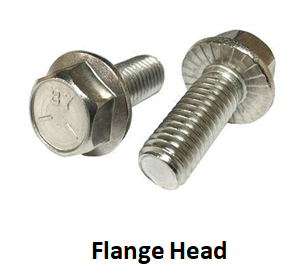 These heads are the most common and were designed to replace round head, truss head, binding head applications. These have high outer edges which provide high tightening torques. These are domed head, large diameter, and hex drive style on the top which usually a good substitute to other because of their resistance towards slipping and stripping unlike Phillips and slotted drive. It is suggested for lighter fastening operations because at high strength socket heads are used. 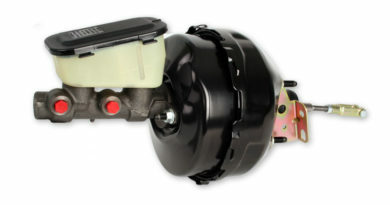 These have high profile, deep drive cut, but low diameter than the pan head. It was one of the most universally accepted designed in the past but now outdated in many countries, but still in use where aesthetic part is dominant over other factors therefore finished in brass, chromium. Usually used in machine and wood screw. 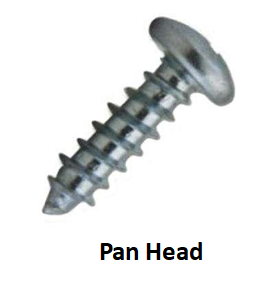 Also known as oven head, stove head or oval binding head. There is a low profile dome head and extra wide load bearing flat surface comparative to other heads which makes it strong hold for thin materials. Truss head is weaker than Pan and round head but used where clearance is small above the head. It is similar to pan head but with much thicker flat bearing surface and deeper slot for the drive style which usually increase its bearing capacity compare to pan heads. Mainly used as bookbinding’s screws, binding wires or electrical works. 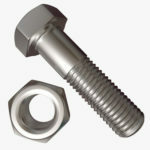 It is a combination of a screw and washer. 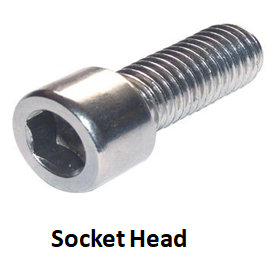 The head can be circular or hexed with a washer underneath the flat load bearing surface which usually increases the bearing capacity by distributing pressure and helps the screw to remain in its position. 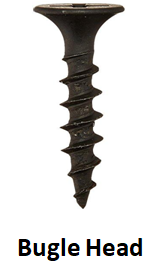 Generally used as a self-drilling screw in many projects. 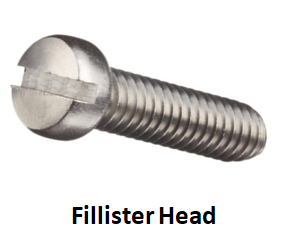 The standard fillister head has a smaller diameter than the round head, but having deeper slot which allows high level torques. Smaller diameter increases the pressure on the load bearing surface and therefore can be assembled with the raised surface. Used in numerous electrical and heavy machinery productions. 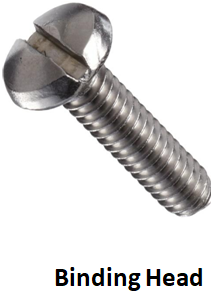 These are strongest and robust of all types of screws heads and are recognized for their durability and quality, therefore made of high grade carbon and stainless steel. These are generally found on the screws with a hex drive on the top of their head. 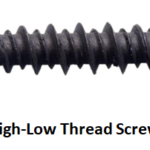 The screws have cylindrical heads and long vertical sides. They have equal head height and shank diameter which allows them to consider at critically high strength application. They are used where endurance is the main factor of consideration such as automotive, construction etc. 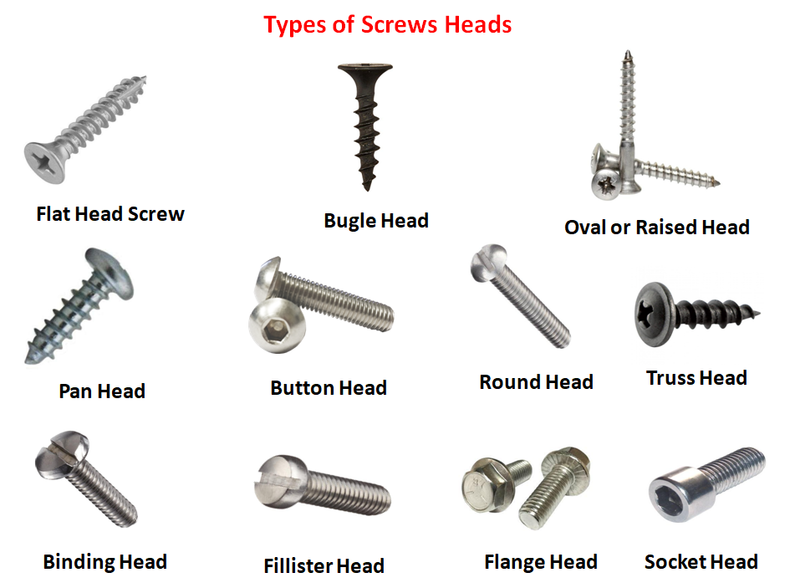 This all about the screw head types. If you found anything missing or incorrect than remind us through your valuable comment or you can mail us too. If you like this piece of information than don’t forget to like and share it. Thanks in advance :). 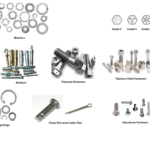 What are Fasteners and its Types? 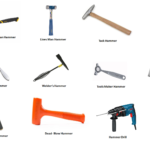 37 Types of Hammers that You Don’t Know? 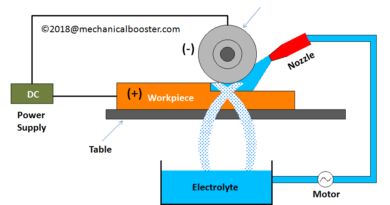 What is Difference Between Soldering and Brazing?